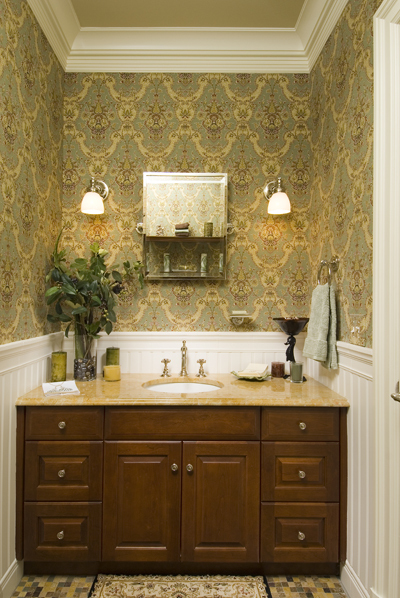 Wallpaper can add much drama and elegance to a smaller, simple area. This paper comes from Clarence House, a notable manufacturer of fine textiles and wall coverings. The colors were extracted from the natural tile and marble and brought all the way to the ceiling to accentuate the fine moldings still further.